Counsel to Innoson Nigeria Limited and to Chief Innocent Chukwuma, Prof. McCarthy Mbadugha, was said to be in a life-threatening condition after gunmen allegedly attacked him in his office, on Sunday. This contained in a statement the Head Corporate Communications of Innoson Group, Cornel Osigwe, issued and made available to Daily Sun. Osigwe disclosed that Mbaduga had recently complained about threats to his life over his ability to successfully win various cases for Innoson on the Innoson vs GTB legal tussle and needed security. “Prof. Mbadugha had, last Thursday, October 11 complained to Innoson about an anonymous message of threat to his life and made suggestions on the provision of security. “Today (Sunday) while in his chambers, a group of armed assassins broke into his office and attacked him with guns and machete and left him to bleed to death. “But by God infinite mercy, Prof. Mbadugha was rushed to a nearby hospital where he is currently receiving medical attention. Please join us to pray for his speedy recovery. “Prof. McCarthy Mbadugha has won over six cases in the Innoson vs GTB legal tussle, which includes cases at the Federal High Court, Court of Appeal and Supreme Court. 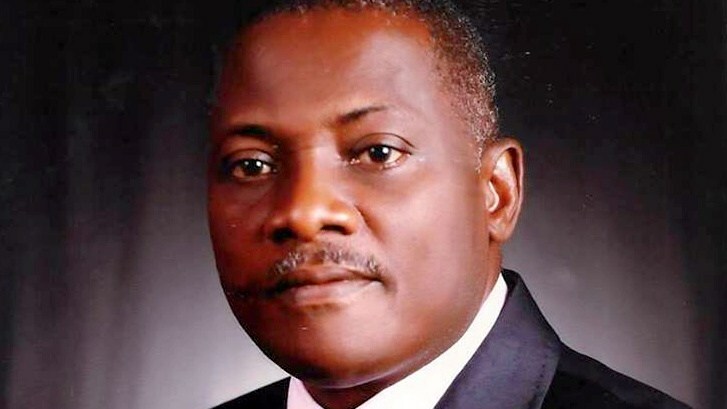 “Last week, October 10 2018, Justice Olushola Williams of the Lagos State High Court struck out EFCC fraud charge case against Innoson,” Osigwe said.